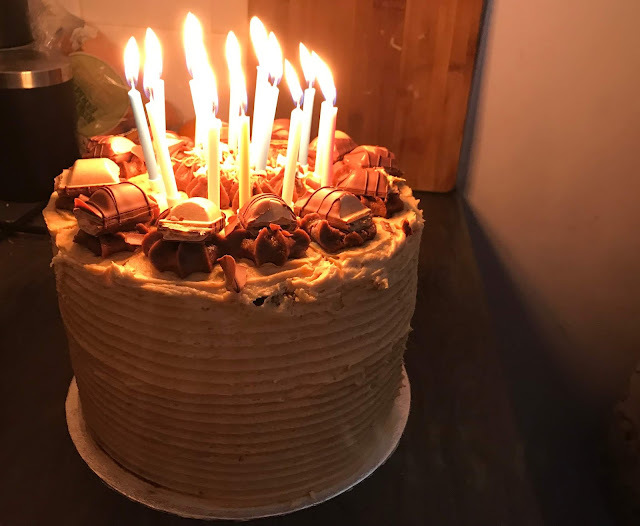 So here are some of the things that I have loved from the month gone by. My eldest, Chloe turned 16 at the end of the month which seems so old and grown up. 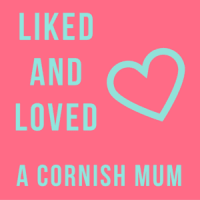 We got her some pandora jewellery, a new bracelet and charm and some clothes which she seemed happy with. On her birthday I took her into Newcastle so she could spend some of her birthday money and we went to Frankie & Benny's for lunch. It was nice to spend time with her on her own as it is something I rarely get the chance to do these days. At the very start of the month, myself and Sophia went to see Disney on Ice at the arena with her friend and her mam. We love Disney on Ice in our house and have been going to see the show for years, since my eldest was small - over 10 years ago! Sophia adores seeing Disney on Ice and this was the fourth year we have taken her and she loved this years show so much now she is a bit older (5). This year the show was princess themed and Sophia was so excited to see all her favourite princesses take to the ice such as Moana, Ariel, Rapunzel and Belle. Olaf once again stole the show for her and it was wonderful to watch her gaze on in wonder and get excited when her favourite characters appeared. I finally got around to watching The Bodyguard on BBC iplayer this month after hearing so many people rave about it. I binge watched the series in a few evenings and really enjoyed it. I never used to watch much TV but the last few months I am really starting to enjoy binge watching boxsets on an evening. 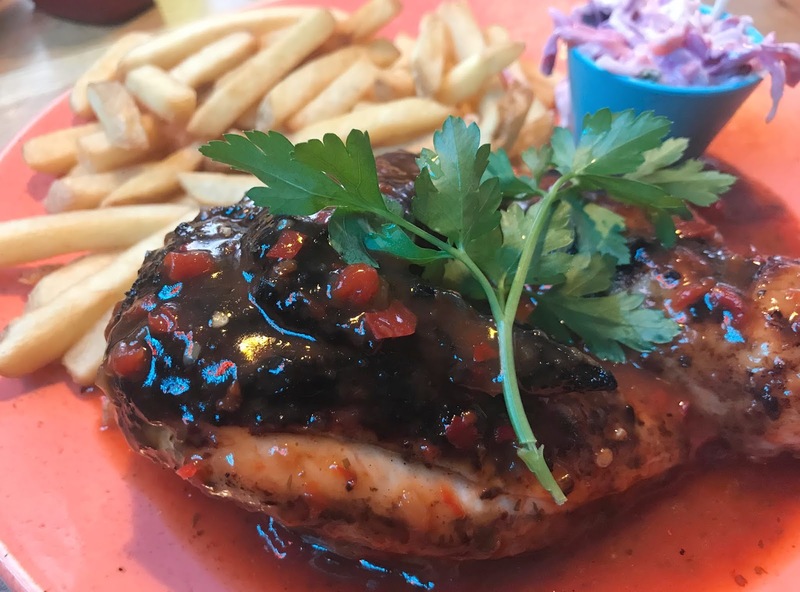 We were invited to Las Iguanas in Newcastle a few weeks ago to try out the new menu as a family and we all really enjoyed it. Las Iguanas is somewhere we had walked past so many times but never visited as I wrongly thought it was not for children, how wrong I was as it was so family friendly and good value too. The food was lush and we will certainly be returning in the near future. We finally got around to going to our venue for our wedding menu tasting and we have selected all the food and drink for our wedding in June. I was feeling super nervous before we went for the tasting as I had no idea what the food at our venue was like, we were both blown away with it as it was much nicer than we expected it to be. We are having a three course sit down meal for the wedding breakfast and hot bacon buns for the evening. 6.) I Said Yes To The Dress! Now my wedding is just 8 months away I decided that it was time to start wedding dress shopping, something I had been dreading and putting off for ages. I made an appointment to go dress shopping to a local bridal shop with my future mother in law and I honestly thought I would not find a dress, however, I found my dress straight away and paid for it there and then. My mother in law to be actually picked my dress out and I hated it on the hanger and wasn't going to try it on but I am so glad I did. It was the first dress I tried on out of five dresses, it is nothing at all like I wanted my dress to be but it actually really suits me. The wedding feels much more real now and I feel so much happier now I have a dress. I am 34 (35 in a few weeks) and I can't drive, I just never got around to it when I was younger as I had my eldest when I was just 18. The older I got the more I kept putting it off but now the kids are all at school and have after school clubs I have realised I really need to learn to drive as it will make life so much easier. I sent off for my provisional licence and hopefully, I will be able to drive by next summer so I can take the kids on days out in the summer. We were all so ready for half-term this week, the children were tired and grumpy and I needed a break from the school run and after school clubs. So we are having a very chilled out week at home, we have had a few short trips out but no big days out and it has been lovely. We have had lazy mornings at home, we have watched films, played with toys and I think the little two needed it, especially as Jacob has only just started school in September. 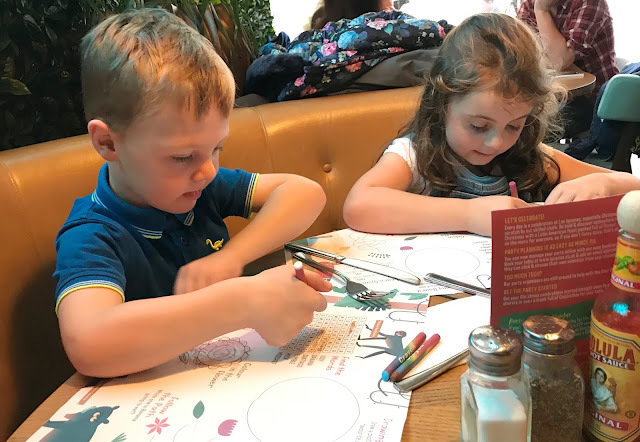 I was invited to Turtle Bay to a blogger event with the children which was lots of fun. The staff made the event really fun for the children and they had such a great time! There was an amazing pirate entertainer who the children adored, there were games, mocktail making classes and lots of yummy food. Keep an eye out for a blog post soon. We don't normally celebrate Halloween but the children do like to dress up, this year Sophia was a witch and Jacob a glow in the dark skeleton. I took the children trick or treating around the street which they really enjoyed and they couldn't believe they got so many sweets. 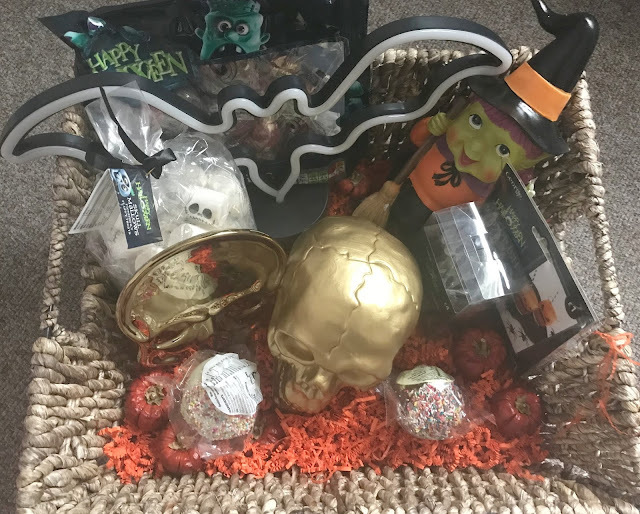 We were also sent a lovely hamper full of sweets and decorations from Asda which went down well. So those are some of the things that I have loved this month, what has been your October highlights? Ahhh happy birthday Chloe can’t believe she’s 16 now - so grown up!